By Doug Karpa | This article is rather technical, but please don’t be dissuaded. It is important and worth the effort to understand the problem that it discusses. – Editor. One of the most important battles in desert conservation isn’t about deserts at all, but rather about removing the unfair barriers to clean local energy. To protect wild habitats and prevent the worst cataclysm of global heating, we must move to zero-carbon energy immediately – but we must do it in ways that minimize habitat destruction. That requires that energy is generated in our towns and cities, close to where we use it. Protecting deserts with local energy means putting effort into removing barriers to local energy. Some of the biggest barriers are market rules that charge customers who use clean local energy for using the transmission system, even when they don’t use that system. Clean local energy produced by wholesale distributed generation (WDG) helps ensure the fastest possible transition to a 100% renewable energy system, but in a way that minimizes impacts to desert ecosystems. WDG facilities are local energy facilities built over larger sites, like parking lots, large commercial or industrial buildings, landfills, or brownfields. Unlike rooftop solar, which produces power primarily for the one customer who owns it, WDG projects sell power to the utility or to Community Choice Aggregations (CCA), which use the energy to serve whole neighborhoods or communities. [Desert Report, March 2018] Because WDG is close to the end customers, it has tremendous potential to provide energy to homes and cities without expensive transmission lines that risk wildfire and without the habitat destruction of utility-scale solar. Because WDG provides power to whole communities, it also avoids some of the serious equity issues that plague subsidizing rooftop solar, which primarily benefits the individual property owners who can afford it. Today, one of the key barriers to distributed generation is the unfair charges to customers who use local energy from WDG to power their homes. Not only do these unfair charges tilt the field toward ever more remote desert solar, but they cost California ratepayers tens of billions of dollars. California has long depended on remote energy generation, which has meant building a massive transmission system to carry the energy from distant sites to homes and businesses hundreds of miles away. As a result, transmission costs have grown by more than 10% a year for decades and tripled since 2008. The more we rely on distant energy sources, the more the California Independent System Operator (CAISO) will need to plan transmission upgrades to carry that energy, and the costs of those upgrades are in turn spread to all California ratepayers. CAISO charges municipal utilities and investor-owned utilities (IOUs), such as Pacific Gas & Electric, Southern California Edison, and San Diego Gas and Electric, for their share of high-voltage transmission system costs, based on how much energy their customers use at their meters. In turn, these utilities bill their customers for transmission and delivery charges separate from the bill for the energy itself. When CCAs purchase energy for their customers, the transmission charges aren’t billed to the CCA making the purchase, but are billed to the ratepayers through the IOU that owns and operates the distribution wires. Since the CCAs are not involved in billing for delivery costs, CCAs make their purchasing based primarily on the costs of generation and ignore the cost impacts of delivery. Significantly, IOU customers and CCA customers are charged for transmission use even if their IOU or CCA is serving them with local energy that doesn’t use the transmission system for delivery. A fairer system to customers would bill them for transmission based on how much of the delivered energy was obtained from a distant source. This is not a new proposal, since customers of municipal utilities have been billed this way for decades. 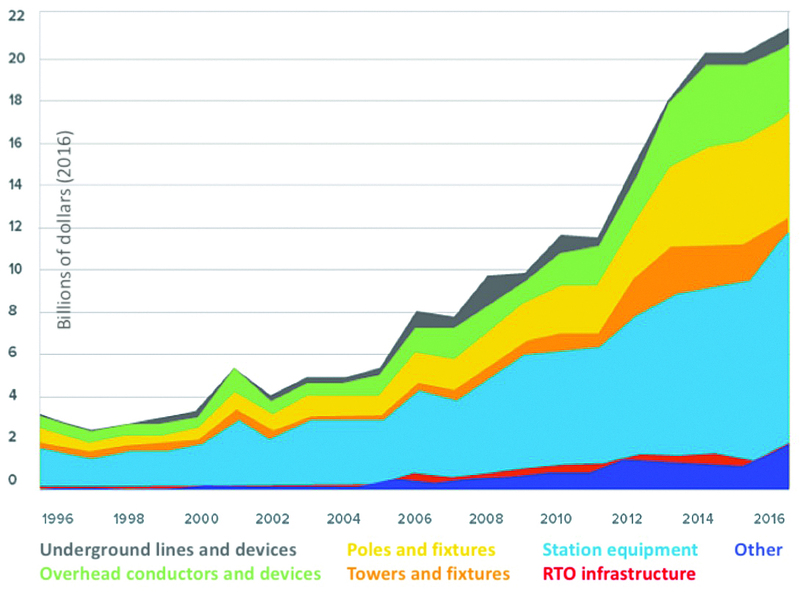 The explosion in transmission spending by major utilities, 1996-2016. Relying on remote energy sources drives up transmission delivery costs by requiring ever expanding transmission infrastructure to deliver it. Local energy does not add to the need for more transmission and can slow the growth in transmission spending. How does this discourage the use of local energy? More important to desert conservation, though, is how this system pushes California to build more and more large energy generation facilities in thedesert. The key is that while local energy doesn’t put strain on the transmission system and cause more transmission spending, the utilities and CCAs procuring that energy for customers see no financial benefit from “doing the right thing” for all ratepayers. Today, when a utility or CCA buys energy for its customers, they make purchasing decisions based on the energy costs alone and whether it comes at the right time for their customers, but not based on how much it costs to deliver the energy. IOUs ignore delivery costs, because they are charged identically regardless of possible differences in actual delivery costs. CCAs also ignore what it costs to deliver energy, because they are not directly charged for delivery and don’t necessarily know what these costs are for the ratepayers. Ignoring the delivery costs has huge impacts that subsidize large desert solar farms. Today, large-scale desert solar wins contracts with IOUs and CCAs because economies of scale and low land costs make building such facilities somewhat cheaper than building a comparable facility on a collection of parking lots, industrial warehouse roofs, or landfills. Even a difference of a fraction of a penny per kilowatt-hour makes the difference between local energy winning or losing a bid. However, if the real costs of building and using the transmission system were included, then purchasing decisions would be based on the total costs to ratepayers and not just on the generation costs. When that happens, more local projects can win contracts, and fewer desert solar farms get built. Furthermore, when fewer remote generation projects are built, that also reduces the need for new transmission infrastructure. Transmission spending on new construction and maintenance has been growing by more than 10% a year for decades, and if that continues will be the biggest part of rate payer energy bills. If we reduce the need for new transmission from 10% a year to even 4% a year, that would save California ratepayers over $60 billion over the next twenty years. This market distortion pushes renewable energy out into deserts, but fixing it is not simple. Because the charges for transmission are calculated by CAISO, billed to IOUs based on energy deliveries to customers, and are then passed on to ratepayers, there is no single entity that has jurisdiction over the entire system. Furthermore, transmission investments (construction of high-voltage lines and substations) generate significant profits for the owners of those assets, who are mostly the IOUs themselves. This means the IOUs have a strong incentive to discourage local energy generation. Unfortunately, there’s no single regulator that has the authority to fix all this, while powerful interests have strong incentives to block reform. 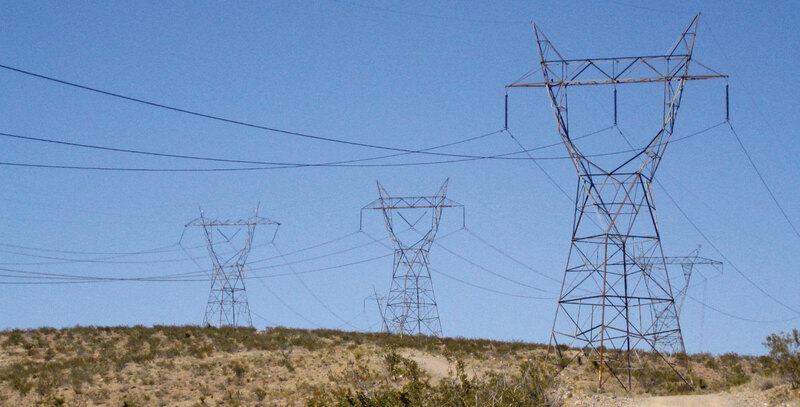 The first step is to get CAISO to change how it bills the IOUs for transmission services. Although CAISO took up this proposal last year, opposition from desert solar developers (represented by the Independent Energy Producers Association) and the IOUs scuttled the proposal, and CAISO has declined to take action unless the California Public Utilities Commission (CPUC) or the legislature act first. Consequently, the second step is for the CPUC to develop a system for the IOUs to assess transmission costs which will ensure that energy purchases (whether by a CCA or a utility) are based on the totalratepayer costs. Unfortunately, the CPUC is also declining to take up the issue, in part because of the complex PG&E bankruptcy and other urgent issues. As a result of this buck passing, it is up to the legislature to order CAISO, the CPUC, and the IOUs to work together for a solution. This is why a coalition of energy and jobs groups, including many Sierra Club activists, is working to bring forward a bill in the California legislature to order the CPUC to work with all stake holders to design a system for billing for transmission use that reflects actual use of the system. Desert activists and energy activists should work closely together to ensure that the transition to renewable energy is done in the most environmentally friendly and cost-effective way possible. If successful, California could unleash the potential of local energy to curb global heating, while protecting precious habitat and generating local jobs. Dr. Doug Karpa is a former plant ecologist turned energy regulatory lawyer and advocate because his work on climate change biology left no doubt about the urgency of the energy transformation. In addition to his work with the Sierra Club on the Executive Committee of the Marin Group and on the California Energy and Climate Change Committee, he has also worked both in private practice and for the Clean Coalition as a renewable energy advocate.